Our first job was to get from our home to Leeds. 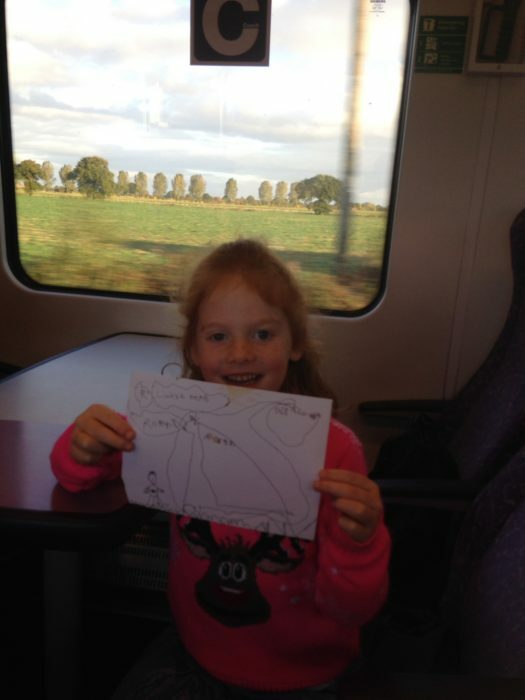 We chose to use the train as the store is a short walk from Leeds train station, and the train always makes a day out feel that bit more fun. We did some drawing and played ‘Heads up’ which the 12 year old has on her phone. It was a great way of passing an hour. 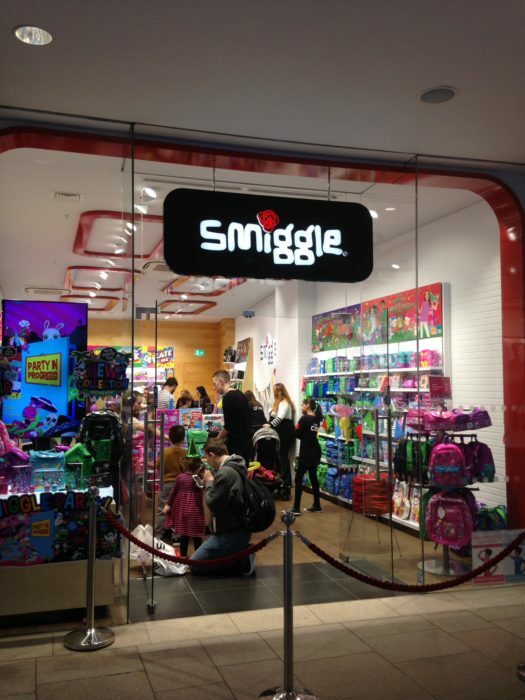 Once at Leeds station, it was less than ten minutes to walk to Trinity Leeds and find the Smiggle store. 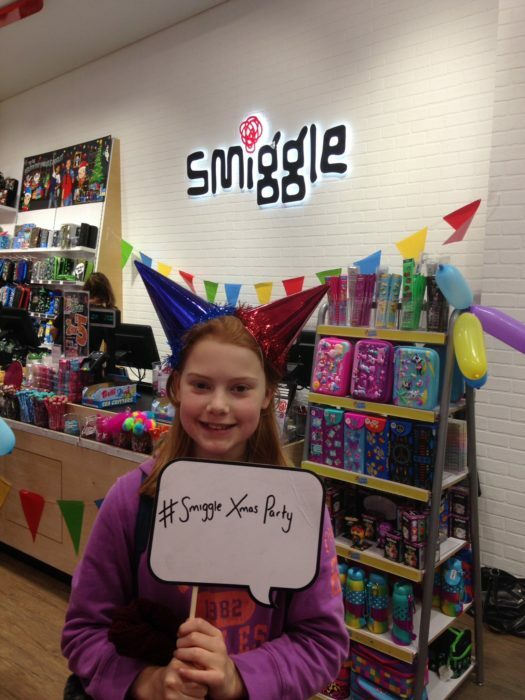 We spent over an hour here, browsing the #SmiggleXmasParty products, joining in activities, and eating festive food. I don’t care if it’s still October, a mince pie is always welcome inside my tummy. 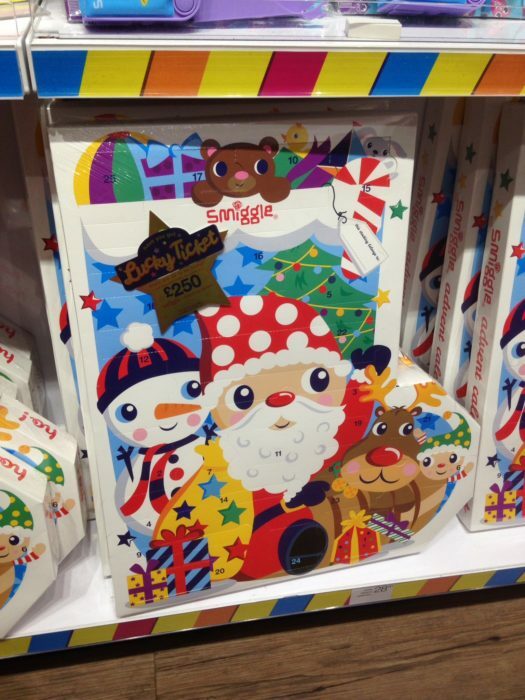 We were shown the brand new Smiggle advent calendar, which all of the girls wanted, naturally. 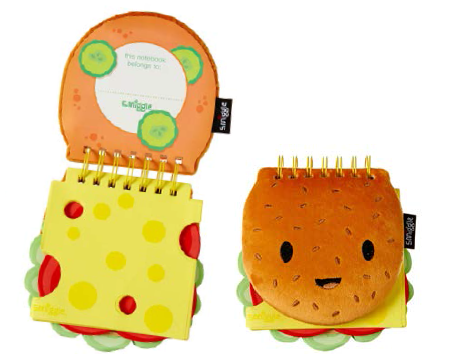 It’s priced at £28 and contains an exclusive Smiggle item behind every door. Tempting. 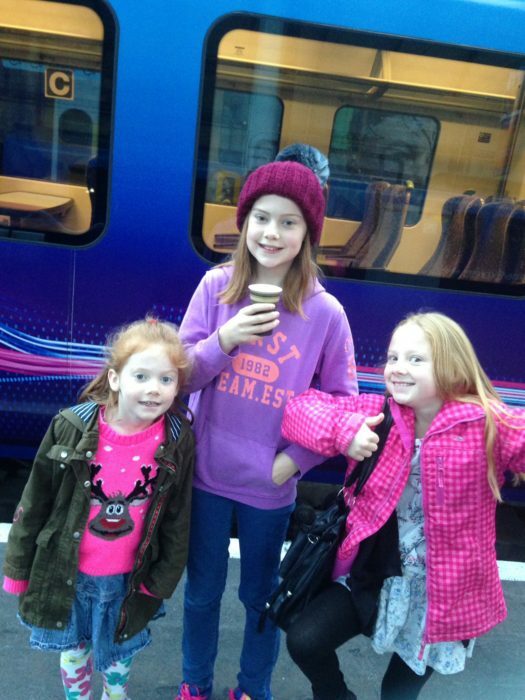 After we had our fill of mince pies and cranberry muffins, we explored some more of Leeds. I’m impressed! 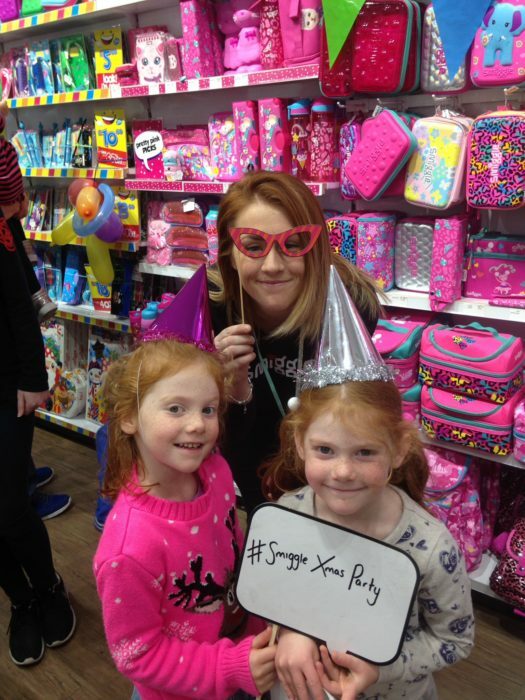 There were the usual high street stores, and also some very high end ones which has prompted us to plan a return visit without some of our party and their clumsy, often-sticky fingers. The arcades in Leeds were beautiful, and the shopping centre of Trinity Leeds was very impressive. Leeds, we will be back soon! 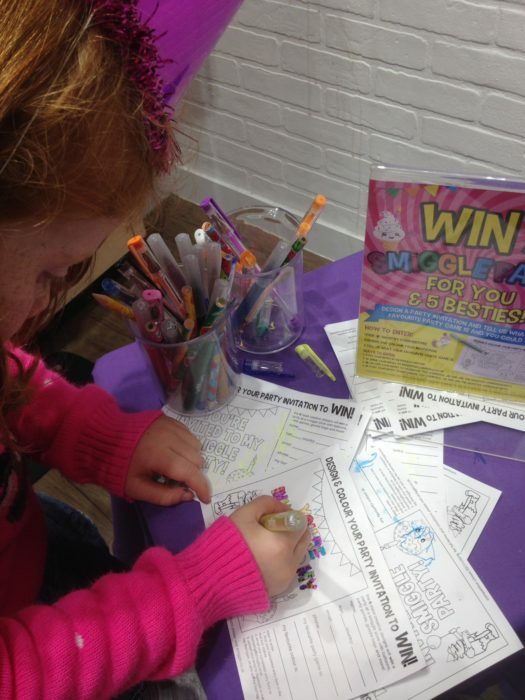 So, after all this Smiggle fun, what’s on the girls’ Christmas wish lists? 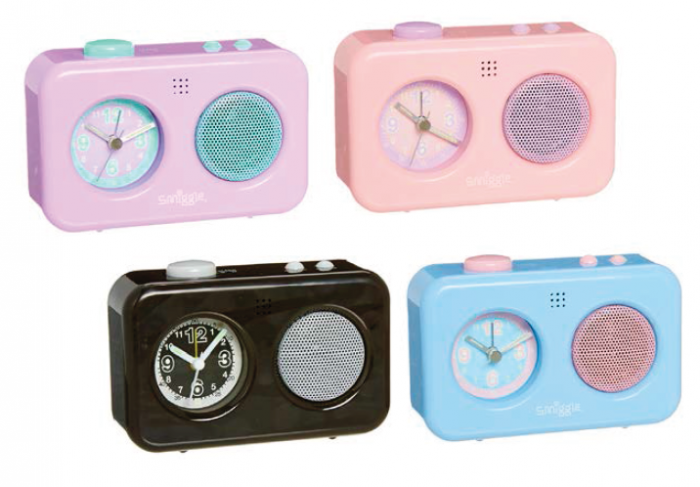 The 9 year old wants a talking alarm clock please, Santa. They are £18 each and available in purple, pink, blue, or black. I think she’d prefer pink thank you. 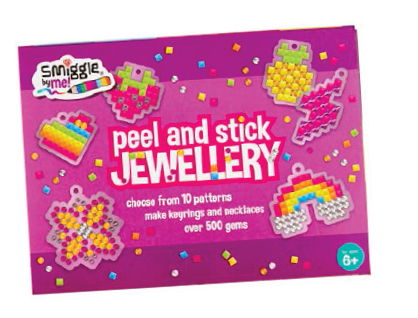 One of the twins loves making jewellery and she had her eye on this Peel and Stick Jewellery set. Keep wishing, kid! Priced at £11.50. I’m sure Santa will be able to manage this one. The other twin (5 year old) would like a proper pencil case please for her new status as one of the ‘big kids’ at school please. No more playing for her, it’s proper work all the way. 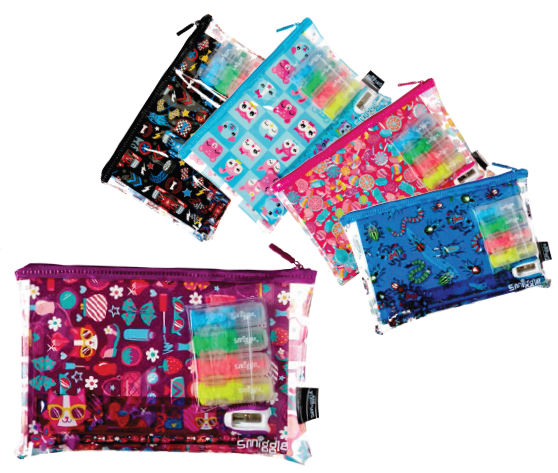 This Xmas set contains a pencil case, 1 x A5 notebook, a ruler, a pencil sharpener, a pencil, and a set of scented highlighters. £10.00 per set. I might also have had my eye on a few items!